The sixth month of our exchange with Jara Studio was mostly dedicated to the analysis of the exchange program, our initial objectives and the ones we managed to achieve, research for future crowdfunding campaign and Spanish funding schemes and possible common participation in the other programs promoted by the European Union, including Creative Europe MEDIA sub-programme. The NE assisted in the filming of the Ibicine Film Festival gala night by providing her own equipment and thus giving a possibility to the HE to get familiar with Blackmagic camera system and Samyang prime lenses and to compare them to the previously used Canon and Sony cameras and zoom lenses kits. Since Ibiza does not have its proper film industry, the importance of getting to know up-to-date film equipment is crucial for the local audiovisual entrepreneurs. The film festival was promoted and supported by some local talents that we have been negotiating with regarding their eventual support of the NE audiovisual project, including Adlib Moda designers, Helher Studio and others. This event was followed by the release of a new album “Unexpected Traces of a Falling Escape” of the local rock band Tales of Gloom. 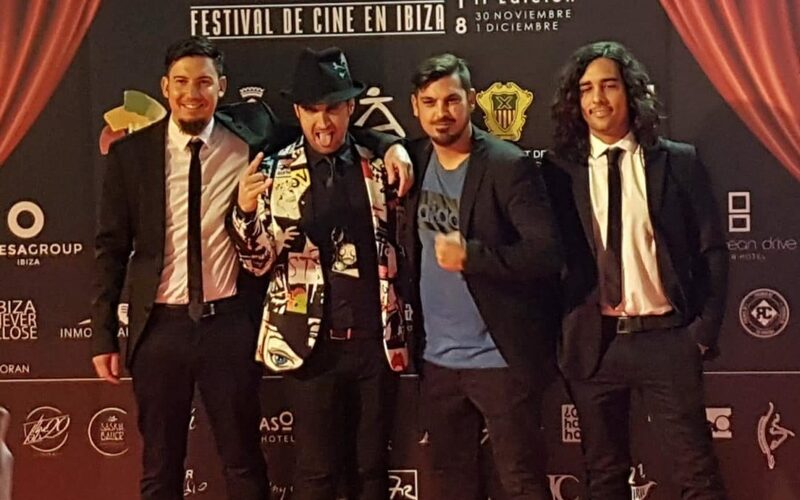 The NE assisted in shooting and editing a music video for the first single of the album “A Ticket for a Last Night”, directed by Javier Riera. Jara Studio company growth has been stimulated thanks to the supervision of the NE’s audiovisual project, as well as involvement into a series of Spanish and European initiatives, which can give the host company an extra publicity and prestige. During these months a lot of backstage material was produced. It can be used for marketing purposes, including the NE and the HE cross-promotion, websites and social media pages updates. We have received an invitation from the director of Palma de Mallorca Film Festival to join their application for the funding scheme supported by EACEA (Education, Audiovisual and Culture Executive Agency), and we are planning to extend our collaboration to the other Balearic Islands. Thanks to the NE’s collaboration with the FILMETS Film Festival, we will have an opportunity to collaborate with the Catalonia TV3 producer in Barcelona. Both contacts are extremely helpful to organize eventual casting and cross-promotion campaigns outside of Ibiza. Our further plans with Jara Studio include submitting our project for coproduction forum in Brussels in early February, applying for funding at the ICAA in Madrid and Institut d’Estudis Baleàrics in Mallorca in March-April, launching a crowdfunding campaign in Ibiza with the support of local brands in early May. For the crowdfunding campaign we have been gathering visual and marketing materials, including project dossier and production budget, still pictures of locations, castings, mood images, promo poster, promo teaser and soundtrack. We have secured support of the local brands and talents that are eager to give us their products or services as freebies. This strategy will not provide any funding, but will enable us to recompense donations of the supporters during our crowdfunding campaign. We will launch it straight after the promo event aimed to attract the attention of the media and decision makers of the island community towards our common project.